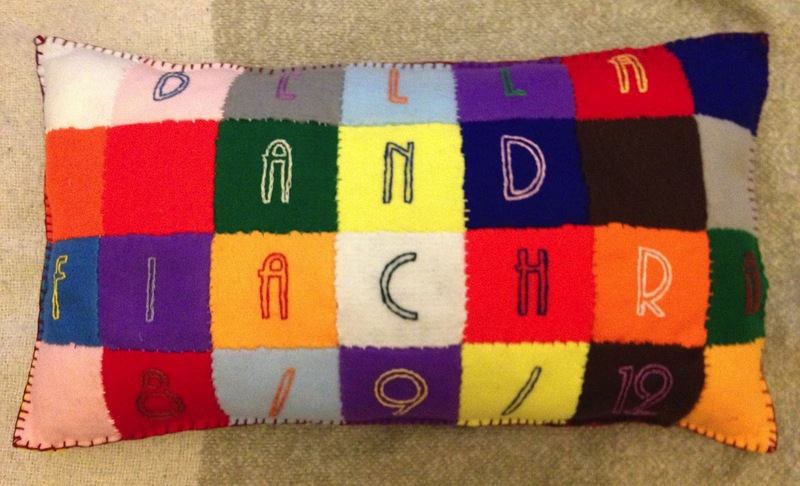 The Belmo is a felt personalised patchwork cushion celebrating a marriage. Names of both people, and wedding date embroidered on the front. 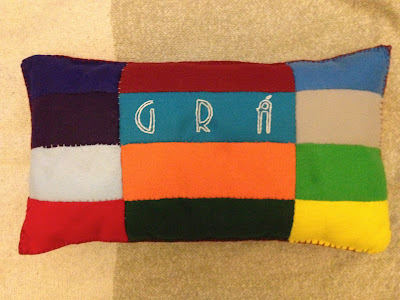 The back is also patchwork - these patches are longer than the ones on the front. Optional embroidered meaningful word on the back. Contrasting colour binds the cushion.